Mobile phones are one thing , but when public wants something big then things go different. How many of you wants to carry a laptop in order to watch movies or carry data for business? Therefore , in past Samsung launched a galaxy series of tablets , which get a good response . So now to carry this era to next stage Samsung is all set to launch his new tablet of s series. 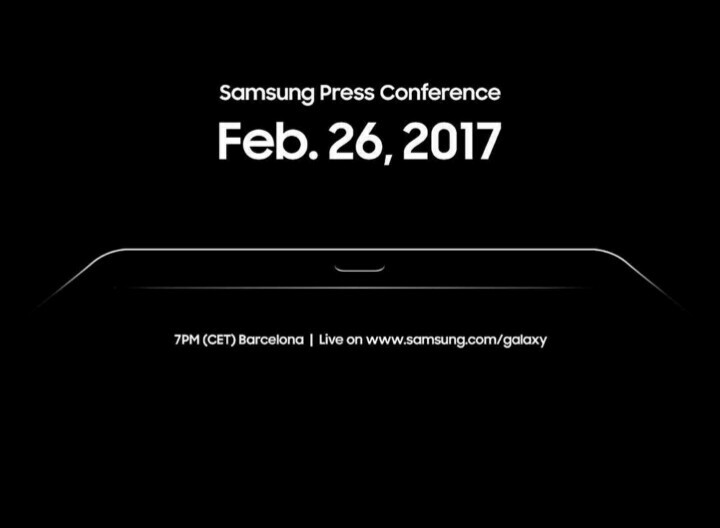 Samsung is hosting an event at MWC 2017 , in which many companies will showcase their inventions but Samsung is not only just showcasing S8 or note 7 but to stay on top they will launch a tab , which everybody knows will add up to a S series. Read all the specifications of Samsung S8 , click here. An image is leaked of samsung galaxy S3 tab showing their new creation of unannounced Android tablet with Physical keyboard accessory. This image is share by Evan blass on his official verified Twitter account. This image depicts what looks like a larger Android tablet in a competition with mobile phones. Till yet nothing is confirmed , not a single word from Samsung company about specifications of their new flagship in galaxy tab s series . But , their past models of this tab series were quite higher-end devices , so we can expect a high-quality next level tablet. Also read 3 top rated smartphone to launch at MWC events 2017 , click here .